Last night, Drake ordered room service while wearing a royal purple robe and a tan fedora, and then blessed us all with an Instagram immortalizing the event. In the caption, Drizzy shouts out well-known fedora fan Kevin Hart, writing, "I put on a @kevinhart4real hat to eat this room service. I am slowly starting to understand why you constantly wear these. It made my meal feel more exotic. Cheddar was looking more like a provolone or a rare Brie. Thanks Kev." While most of the commenters were not put off, we just wanted to take this opportunity to point out that even Drake cannot make this type of hat look cool. 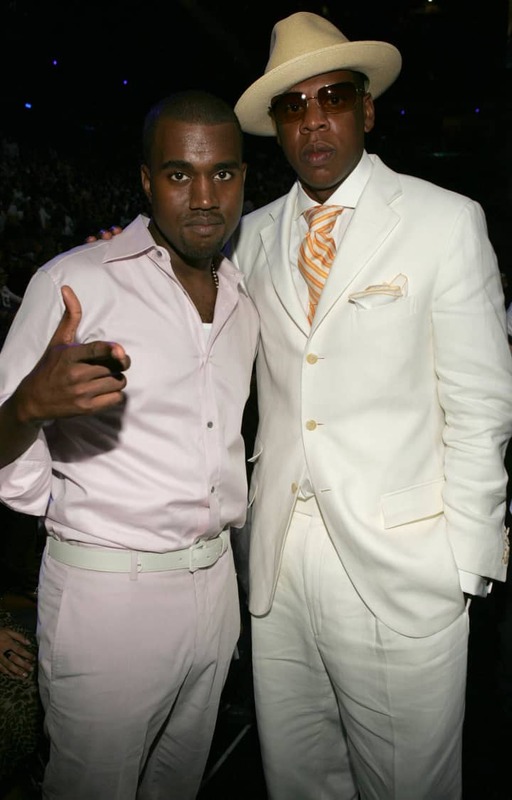 We've also included a photo of Jay-Z trying a similar stunt back in 2004, and failing so hard he made Kanye's pale pink monochrome look badass by comparison. I put on a @kevinhart4real hat to eat this room service. I am slowly starting to understand why you constantly wear these. It made my meal feel more exotic. Cheddar was looking more like a provolone or a rare Brie. Thanks Kev.